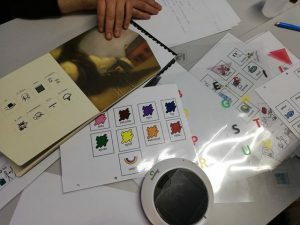 Between 21st and 24th January Association Euni Partners, together with experts from the Regional Directorate of Education in Blagoevgrad and the Regional Center for Supporting the Process of Inclusive Education took part in the 2 nd module of the training on using Alternative and Augmentative Communication tools and methods, which took place in Athens, Greece within the project AAC@school. 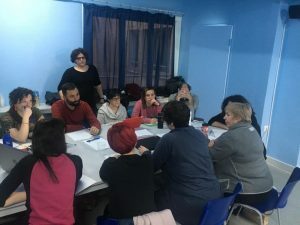 The aim of the training was elaborating communication tools, related to the AAC methodology, which will meet the needs of a specific target group of each partner country. 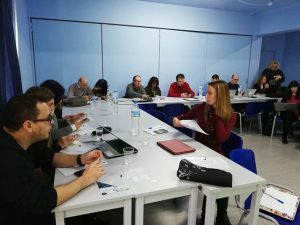 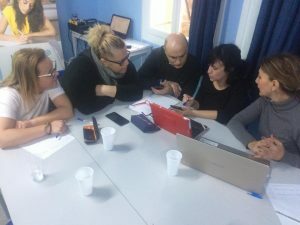 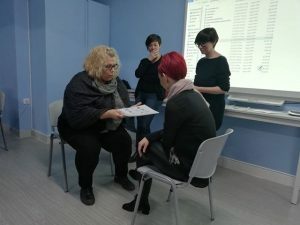 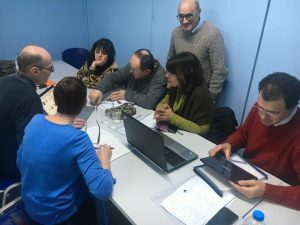 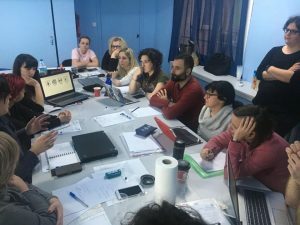 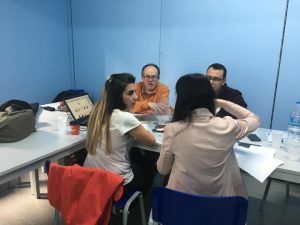 Through different activities, experts and teachers, representing each partner country got acquainted with various types of communication tools, which can be used in order to support the educational process of children with special educational needs. 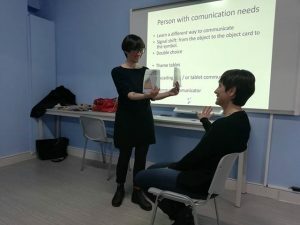 Trainees worked in groups, elaborating communication tools specially designed for different target groups and needs. 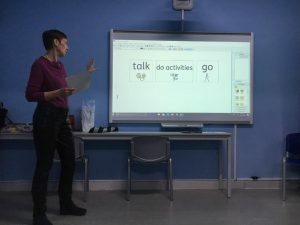 All tools will be collected in a toolkit, which can be used by teachers, LSAs, school counselors, working with children with special educational needs. 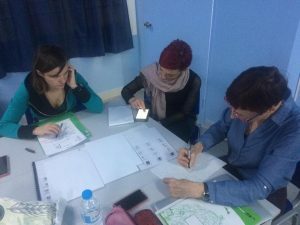 Following the completion of the training modules Euni Partners, together with the experts from the Regional Directorate of Education in Blagoevgrad and the Regional Center for Supporting the Process of Inclusive Education will pass the knowledge, methods and tools to the Learning Support Assistants in Blagoevgrad region.